I'm starting to get a collection of little black dresses. Unfortunately, I've got to that point in my pregnancy where most of my heels or boots will not fit. 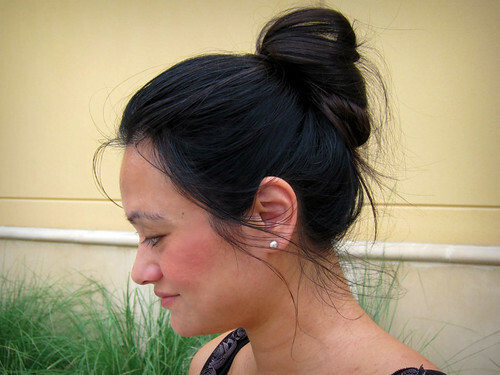 Bun= I didn't wash my hair today or yesterday, and I don't care! 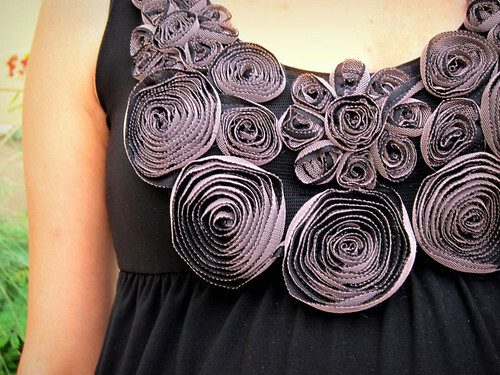 I love the fun detail on this dress. I suppose I'm buying a lot of black because black is very slimming. After resting up from yesterday's little scare (and sadly subsequently missing my encore shopping experience at Le Garage Sale), I was ready to get out and about again. I was a little overdressed for errands, but after being pajama clad most of today and all day yesterday, that was okay. I'd always rather be overdressed for an occasion than under dressed. Anyone else?